After visiting Paris, its neighbourhoods, museums, Château de Versailles and the surroundings, you can recharge your batteries in this charming house next to the capital. located in a quiet and green neighbourhood. House from the end of the 19th century - restored by an architect, where ancient charm plays with modernity. Soothing, fresh in the summer with not-overlooked garden. 4 Bedrooms, 2 living rooms, 1 dining room, open space fully fitted kitchen and dining room, garden furniture and barbecue. If you like reading, you can have your privacy in one of the 2 living rooms. One of them opens onto the garden and the dining area, very fresh in the summer. If you like writing, there is a study. If you like history, the furniture dates back. The bathroom, fully white tiled, is simple but very spacious: 7sq.m, with big bathtub, bidet and wash basin. nous avons été très bien accueilli dans cette maison familiale. Tout s'est très bien passé. 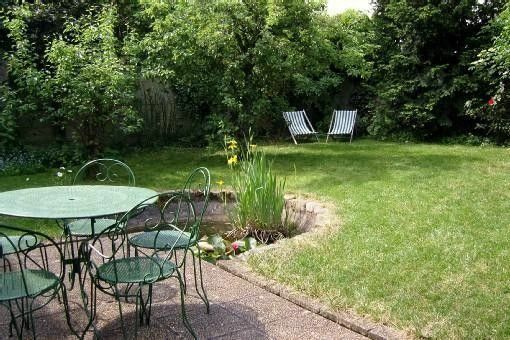 Le calme était au rendez vous tout prés de Paris, le jardin n'a aucun vis-à-vis et l'intérieur est très spacieux. Je vous recommande cette location pour vos prochains séjours à Paris. Une belle surprise pour cette location en région parisienne. Maison très au calme avec beaucoup d'espace et beaucoup de charme. Paris très accessible grâce au RER. You won't need a car. Going to Paris: easy for walk lovers, otherwise you can choose between RER B, underground line 13 and bus lines 195, 194, and 295, 50 metres from the house. Fontenay aux roses is a blooming commune, where life is easy, with market, shops, restaurants, cinema, theatre, library, parks, etc.